Gina has found this beautiful article that does justice to our guys and that I now translate. Thanks Gina. Listen to Auditel TV: At Christmas, the three tenors of IL VOLO double Michael Bublé. IL VOLO – Voci di Natale registered in Lebanon for the Unifil mission soldiers left the Bublè concert in Hollywood in the dust. The TV ratings and Auditel data of Tuesday, December 25, 2018 in the late evening see the three tenors of IL VOLO leave in the dust Michael Bublé. Piero Barone, Ignazio Boschetto and Gianluca Ginoble flew to Lebanon to sing in front of the Italian soldiers engaged in the Unifil mission, recording between Tire and Shama’s Military Base the special IL VOLO – Voci di Natale and the bet of Rai1, proved to be winning. Already because Piero, Ignazio and Gianluca have conquered 2,007,000 spectators with 12.9% share, while on Canale 5 Michael Bublé with Michael Bublé’s Christmas in Hollywood has stopped at 703.000 spectators equal to 7.7%. Almost double the share, therefore, for the three tenors (although to be precise, only two of them are tenors while the third is a baritone) who have moved the military away from their loved ones and their families at Christmas, and even the public at home. We are really happy with the results obtained, it could not be otherwise. The year 2019 there will be many commitments for Ignazio Gianluca and Piero, but the year is not over yet, there is still a commitment for 2018. IL VOLO will participate in the program L’ANNO CHE VERRÀ on December 31, they will be guests, among many guests. Here is the announcement, I will translate the most interesting parts for you. On Monday, December 31st at 9 pm, an evening of music begins in the company of young tenors but also of the likes of Malika Ayane and Massimo Ranieri. The big show of the New Year of RAI 1 is back: it will be Matera, European Capital of Culture 2019, the frame of “The Year to Come”. An event as always rich in culture, entertainment, music and dance, this year live from the city of “Sassi”, which with its scenic beauty and historical traditions is UNESCO heritage: at the helm always Amadeus. From the 21st, as soon as the end of year message of the President of the Republic is over, the suggestive location of Piazza Vittorio Veneto in Matera will host a kermesse (festival) of over four hours, created in collaboration with the Basilicata Region and the Municipality of Matera. Also this year “L’Anno che Verrà”, broadcast in HD on Channel 501, will be broadcast live on Rai Radio1 with a special on-site conducted by Carlotta Tedeschi and John Vignola who will perform incursions and interviews from the backstage during the direct. Tradition, young stars, news and some unexpected surprise “of the last moment”: on the stage the great Massimo Ranieri will rise, the Istrione for exception, multifaceted artist with multiple qualities that made him unique for all the kind of show he himself interpreted during his long career, with the trio of “IL VOLO” returned to Italy after many tours and successes around the world. In the picture, Matera, capital of culture 2019, the city of “stones”, where the show of the expectation of the new year will take place, with many guests. We have not yet finished the clamor of the beautiful program VOICES OF CHRISTMAS that already the guys have another commitment, but this time certainly closer and even less demanding. Here is a nice video made by TORINO ASPETTA IL VOLO E POI … with a beautiful summary of all the commitments of IL VOLO in 2018. Ok guys, let us finish the 2018 well and start the 2019 even better. And now, from Italy comes to all the crew a great wish for a happy 2019, full of health, prosperity, love………. and many concerts of IL VOLO. GOOD 2019 AND WISHES TO EVERYONE! And here are our guys a few hours ago celebrating the arrival of the new year, very good as always. The boys confirm that in 2019 they celebrate 10 years together and the best way to do it is to return to the stage of Sanremo, where they were born. In this brief backstage interview, the boys confirm that 2019 will be a year full of nice surprises. They are asked how the presentation will be in Sanremo and Gianluca says they will present an “explosive” music. Happy New Year RoseMarie, did you see how beautiful our boys are? Did you know that there were various programs of concerts on the various channels, but that of RAI1 got the maximum listening? Did you notice that two of them are cool? Did you see the photos posted on All About Il Volo by Gary? Some really gorgeous ones I have not seen before. Buon Anno Barbara! A hug. I wish everyone a very peaceful year but full of exciting things to share with IL VOLO. Thank you Gina, Happy new Year to you too! We wish everyone the happiest of New Year. May you all be blessed and find great joy in the New Year. Thank you Daniela for providing so much to keep us informed. We are truly indebted to you for all your work. Thank you everyone for the wonderful comments on the boys. It’s always delightful to open an email to hear about the boys. Victoria ,you make me blush with all these compliments. Did you read the post de VOCI DI NATALE in Lebanon? What good, the guys with our military. Happy New Year to you and Jay. Happy New Year to everyone! A special thank you to Daniela for all the work with her translations for those of us who do not speak Italian, and for her exemplary work on the Il Volo website. Thank you, Il Volo for your expression of love and peace to the entire world through your beautiful music. In the spirit of Il Volo and “We are Love” let this be our inspiration to carry forth this New Year. Happy New Year to you Toni. Thank you very much for your compliments, when a job is welcome is done very willingly. I think you’re right, “We are love” suits the spirit with which the boys lead their careers. And we like this spirit! I listened to the new album, “Il Volo Le Piu Belle Canzoni” on YouTube which was posted yesterday, Dec. 30, 2018. Where can I buy this album? It is fabulous! Toni, this is not an album by Il Volo! It is someone trying to sound like them. I’m sure Daniela will respond also. Rose Marie, I am sure it is them. It is just someone took sound tracks from various utube videos and combined them together in one unit. Toni, I respond immediately to this comment because it is important to me. This MAX VOLUME, is not the first time that publishes compilations of our guys, but they are not absolutely authorized CDs, so they are not found on the market, I think this man tries to take advantage of the various likes (and there are many) who receives us because our boys are involved. Also already at other times I noticed that it does not always use songs really sung by IL VOLO, but by others who are imitating Piero, Ignazio and Gianluca. RoseMarie is absolutely right, I also do not believe that this man does it only for pleasure, but certainly for profit. I will try to inform of this matter, someone close to the staff of the boys. I also believe that this man is not Italian, because other times I noticed that the titles were written in a wrong Italian. If it were a REAL publication, we would have definitely alerted everyone. Beware of unscrupulous people. Tony, the songs are all songs that are part of our boys’ repertoire, but they are not available on a single CD, they are scattered on various CDs. 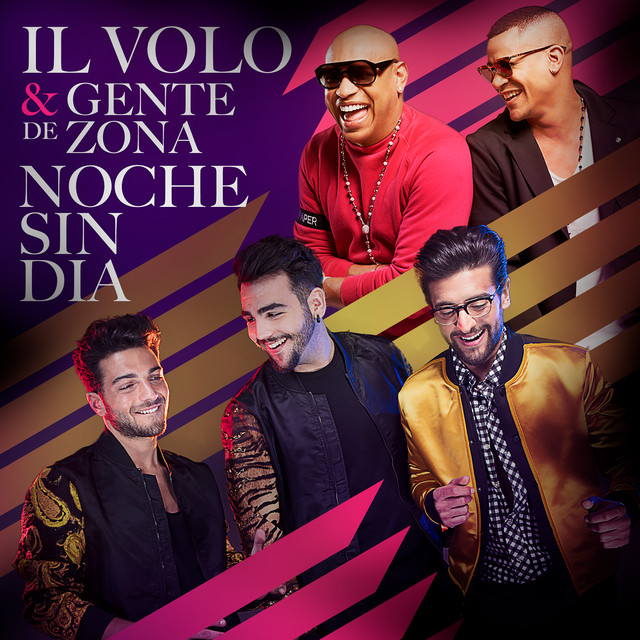 This compilation was made by this MAX VOLUME, and this could also be a nice thing, but what annoys me is that it also uses songs not performed by IL VOLO, but presents these singers for IL VOLO, I do not understand if he does it naively or if instead he does a malicious action. This is not an album–it is a compilation of songs they have either already recorded on other albums, or songs they have sung in concert. It’s a great thing to play however! Penina, I have to deny you, I did not recognize the boys in three songs, all the others, I think I can say that they are, they are not a perfect incision, but they are them. Of course it’s a good thing, but you do not have to record other singers saying that they are IL VOLO. Buon Anno Daniela! I have to confess I did not listen to the whole thing. I just listened to the first two songs and then I turned it off. The ones I heard were definitely the boys. So if you tell me there were imposters there, I believe you! Penina, I think the second (Mas que Amor) is not Il Volo, who sings, listen carefully, in my opinion they are not. You may be right–it is heard to tell with my computer speakers. Sometimes when I KNOW it is them, I can’t figure out who is singing. In particular there is one song from the Amame album if I listen to it on the computer I can’t believe it is Ignazio singing, but if I listen to it on my iPod it certainly sounds like him. Buon anno Daniela and the same to everyone too. 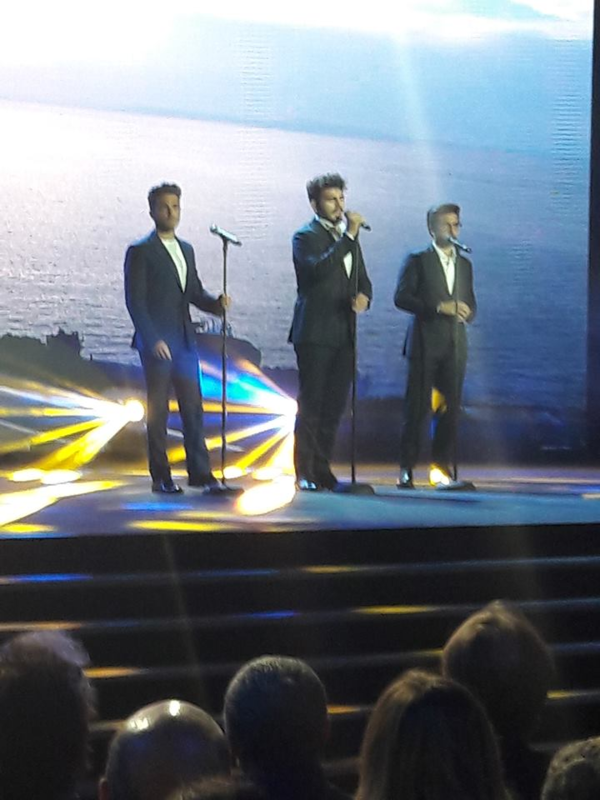 This post has been the most instant info of Il Volo in action yet!!!! Daniela and Pat are just awesome ~ many thanks and big hugs. Happy New Year to you Ineke. Actually the post was already ready, but as they published almost immediately the videos of the performance of the boys at L’ANNO CHE VERRA ‘, I immediately asked Pat to add them and she did it right away !! Peninahonig, Daniela, and Toni, I need to correct my comments, this is not an album released by Il Volo. It does include songs sung by them, and there are a few that are not them. You can tell the Il Volo originals have been copied. Thanks Daniela for the explanation. The video clip of RAI 1 that I saw on IL Volo Mundial is spectacular, especially the third song. At their finest!!! Do you remember when you told me that you were afraid that IL VOLO would completely change their style in Latin-American? So far they have NEVER presented their songs of the Latin album, even if they were certainly successful at the end of the year. And I would have been a lot wiser to have listened more closely to you back then, but thankfully you have been right all along and I’m a believer! Wishing you a bright and happy New Year and I think IL Volo will help make that happen for all of us who follow them. Mark, I’m sure it will be a spectacular year !! Dear Daniela, we read all the wonderful posts you send. I then send them on to Tricianna and we discuss how wonderful it is to be kept informed about these wonderful boys. I did miss the Christmas Eve special with the troops and perhaps someone will have a site to watch it. Have a blessed New Year. Love and hugs! Here is the link, Victoria. Thank you so much for the link. I will listen to it now. Thank you to all who make this site such a great place to visit and for the time you spend bringing us the latest information, photos and videos. A special thank you to you Daniela for all the translations and keeping us up to date with Piero, Ignazio and Gianluca. Many blessings to all for joy, peace and good health in the New Year! Happy New Year Margaret and thank you very much for the compliments, continue to follow us, this year there will be many news to read. My comment has nothing to do with the album story but I have been thinking lately of how smart it is that IL VOLO went to Lebanon and performed for the troops there. It was a very well done program and I know it must have gone over very well with the Italian people at home. It is also pretty smart that they performed on New Years Eve this year too. All in all, add this up and I think Torpedine is setting them up to have a good response when they perform for the Sanremo contest of the champions. This is all good publicity I think. Any thought on this Daniela? You are very careful, and you have done a good analysis. I certainly think Torpedine and his staff are turning the spotlight on our kids, who, after a fairly calm year, are preparing for a series of very important TV appearances, starting with their presence at WYD in front of the Pope. The guys have said several times, which will be a very dense year of events and the attention has already been focused with the Christmas special, then the presence in Matera at the end of the year ………. and us fans, we will enjoy all these magnificent events.